Just with the awesome skin healing properties of goat’s milk. Nothing more! No fragrances or colorants. Goat’s milk soaps offer a creamy, moisturizing bathing experience. Great as both a facial and body soap for dry and sensitive skin We add oatmeal to gently cleanse the skin. The best bar for sensitive skin. No fragrances or colorants. Just with the awesome skin healing properties of goat’s milk. Goat’s milk soaps offer a creamy, moisturizing bathing experience. Great as both a facial and body soap for dry and sensitive skin We add oatmeal to gently cleanse the skin. Goat’s milk soaps are always our bestsellers. You’ll love the feel of your skin after using them. – Moisturize: Will leave skin soft and moisturized due to the fat content of the milk. 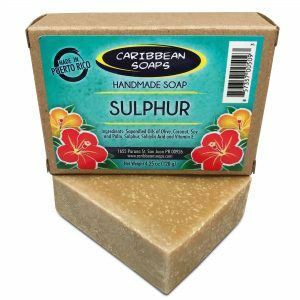 – Creamy Lather: You will enjoy the rich and dense lather these soaps create. – Rich in Nutrients: The milk contains essential vitamins like A, D and B6 which are readily absorbed by the skin. – Skin Healer: Soothes dry and damaged skin and may help conditions such as eczema and psoriasis. The oatmeal will also help relieve itchiness. Also, the milk has capric-caprylic triglyceride which helps form a barrier on the skin to seal in moisture. After carefully weighing the vegetable oils, we then add the lye and mix with a stick blender. Finally, as the soap mixture starts to thicken, we mix in the goat’s milk, fragrance and the ground oatmeal. It is then poured in a mold to be cut after 24 hours. We offer several soaps with goat’s milk. All of them offer the same moisturizing properties of goat’s milk, the only change is the fragrance. Almond & Goat’s Milk, our bestseller and Vanilla and Goat’s Milk for a slightly sweeter fragrance. 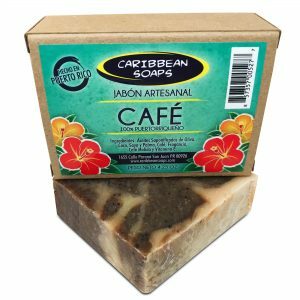 No matter which one of the three varieties, they will be the best luxury soap bar you have ever tried!